• Onion (finely chopped) - 2 numbers. • Whole garam masala spices - 3-5 pieces. • Coconut (grated) - 1 cup. • Cashewnuts or poppy seeds - 2 tablespoons. In a big frying pan heat oil, add garam masala spices, mustard seeds, when splutter add cumin seeds, chopped onion, salt then fry the onions until they turn golden brown. Blend cashews and coconut to a fine paste. Now add the turmeric powder, ginger and garlic paste, curry leaves, chopped chilies. After a few minutes add the coconut and cashew or poppy seed paste, stir and then add the yogurt, cumin powder, coriander powder. Add the chicken pieces and cook in the gravy, add pepper powder and cook it. Serve hot with chopped coriander as garnish. i made this last week without the cashews ( as i had none ) and it was magnificent!! will do it again today with more chillies and cashews!! cant wait! I think he is bigger star than Saneev kapoor in youtube. Its great i also love the corn you showed. 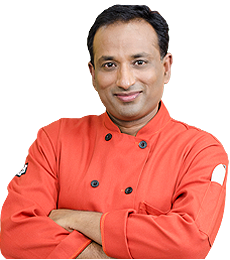 hi CHEF..thanks for inspiring us in cooking. I would like to learn no oil cooking and frying on household indian dish. please. thank you. i like you. your easy to listen too and informational too.. cheers.